Greetings programmers! 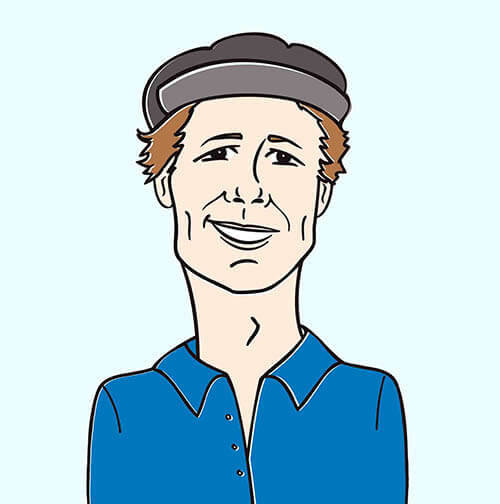 It’s Andy Gesner and the HIP Video crew, coming your way with a taste of the West Coast. Broadcasting a wide sonic array, Nate Currin marries electro pop sounds with acoustic guitars and rock & roll into one catchy family for his brand new single “Goodnight California.” It’s an emotional pop roller coaster that will make you want to hit the beach and drive around with your windows down, while secretly wishing you were heading for The Golden State. From the first time Nate touched a piano at the young age of 8, it was evident that his love and passion for music would only grow tenfold. Now with 6 years of performing and touring under his belt, Nate has hit the music world with his debut full-length, Goodnight California. With song influences that range from British New Wave, to Seventies Folk, from electronic ambience to acoustic rock, Nate brings together the best elements of each genre into one solid package. The album packs a serious punch by employing two major music forces to the producer’s chair. 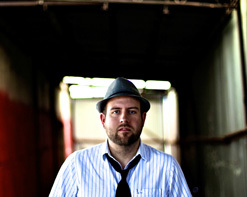 Dan Hannon, who is known for his work with indie darlings Manchester Orchestra on their last three albums as well as his Dove Award winning work with CCM Artist Aaron Shust and Simon Illa, known for his work with D Woods of Danity Kane, place their signature marks to make the record a whirlwind of good times and tunes. “Goodnight California” is a warm and fuzzy pop rock ballad that bleeds tears of heartbreak without ever abandoning optimism. “Goodnight California” tells a tale of a guy who visits the Golden State, breathes it in, falls in love with one of the irresistible California girls, and then questions whether it’s all real or just a beautiful lie. Taking cues from the radio friendly Katy Perry and the classic timelessness of Tom Petty, Currin creates a track that is both carefree and structured. California is addictive, it’s one of a kind, there’s something about the place that gets under your skin from the moment you touch its atmosphere, and this song is another example of wonderful madness that engulfs all Cali visitors. The video, which co-stars actress Niki Huey, who recently appeared on the HBO show Entourage, pits Nate Currin as a guy who experiences the gut-wrenching dichotomy of hellish heartbreak after a bittersweet taste of California love. The appeal of this clip is that Nate relates to the “average guy” and all the things that happen to us in our daily lives. There is no over-the-top glitter here, as the video focus on the real and honest. However, it is important to note that Huey is indeed a California 10, and that the video is shot with some of the warmest camera filters around! Scenes are pieced together with sharp precision and feature a stylish split screen edit that instantly beg for your attention. Currin is currently in the midst of a summer North American tour to support his release from coast to coast, as he has been since the turn of the year! The record has already generated some great buzz, being picked up by several blogs, including the prominent Cali blog Californiality. “Goodnight California” has also generated thousands of YouTube views since its recent post this month. The attention for this deserving songwriter will only grow as he takes on the nation with his grassroots approach. After all, fans are made live and in person, and that is exactly where Nate Currin will be picking them up. We’re truly excited to be working with Nate Currin and are stoked to bring you this much deserving release. Nate’s band will be touring all over the United States this summer, and we would love to hook you up with the opportunity to catch them live and sit down for a video interview, so please be in touch if this is something that’s you’d be interested in pursuing. We also have copies of the new record available for you to check out, so get your requests in now! If you need more info, call Andy Gesner at 732-613-1779 or e-mail us at HIPVideo@aol.com. You can also visit www.NateCurrin.com to find out more about Nate Currin and the tour dates near you.